Rhythm and dance games are some of the easiest to learn, hardest to perfect, and the most fun you’ll have with three other people. Unfortunately, these games are the most expensive with the extra peripherals, especially when you’re equipping enough instruments for four. 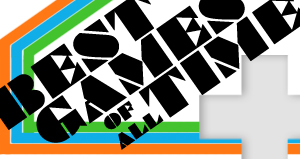 This series will pick apart the five games from each gaming genre that helped define my gaming persona. You, too, have your own. Developed by Namco, Donkey Konga was bundled with the strange looking barrel bongos allowing you to rock out to real world hits and a number of Nintendo tracks from Mario, Zelda, and Donkey Kong. There’s never really been anything like Donkey Konga and you’ve certainly got to have a knack for both DK and the rhythm genre to get a kick out of this title. Good luck finding three other sets of bongos. Dance Dance Revolution began as an arcade game and eventually made its way to the consoles alongside the cheaper dance mats. No other game is as easy to master as DDR and working your way to perfection will make you sweat like no other video game can. DDR is a blast for both the spectators and those making fools of themselves flailing to hit each step. 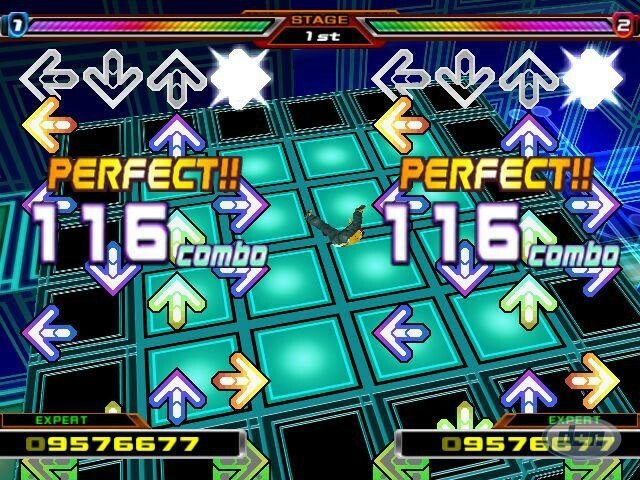 Until the release of Dance Central, DDR reigns king of the dancing games. 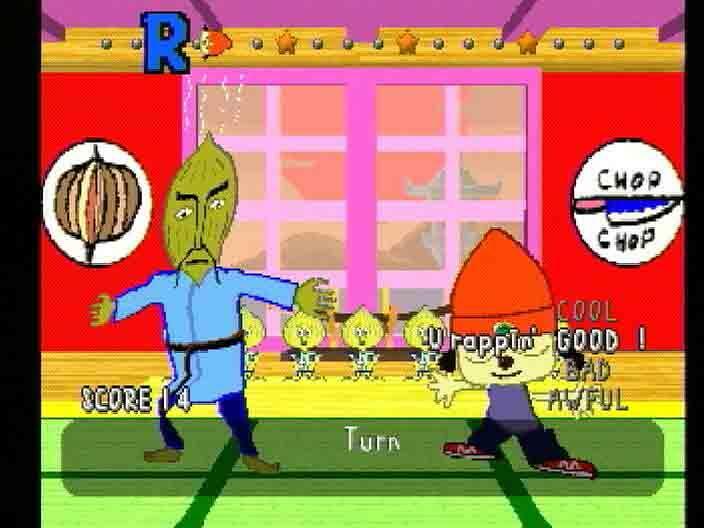 Easily the strangest rhythm game I’ve ever played, PaRappa the Rapper is just as fun as it is funny. Using the four shapes on the Playstation controller, you make PaRappa rap through the tasks of his day from karate to serving up fast food. It’s funny and it doesn’t take itself too seriously, making for a very entertaining few hours. Guitar Hero was the first innovative rhythm game aside from DDR that put a guitar in your hands to rock out to a soundtrack of easily recognizable songs. 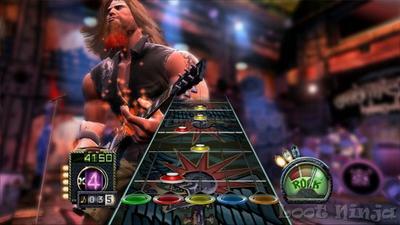 Guitar Hero’s 1-3 were the same at their core and 4 built on the the success of its name with the addition of three more instruments. Rock Band took what Guitar Hero did expanded on it in a big way. With the addition of drums, a microphone, and the bass, you and your friends could take your virtual band on tour through the World Tour mode. 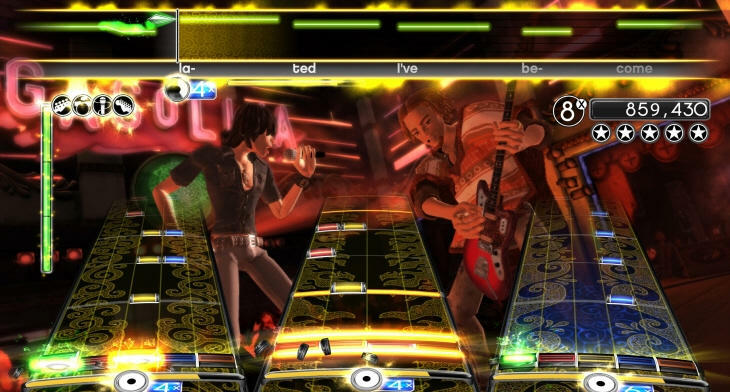 With the release of Rock Band 3 drawing near with the inclusion of a new instrument, Rock Band will continue to hold the title for the best rhythm game in my eyes. Whether you’re team Guitar Hero or team Rock Band, it’s easy to see the genre is here to stay. 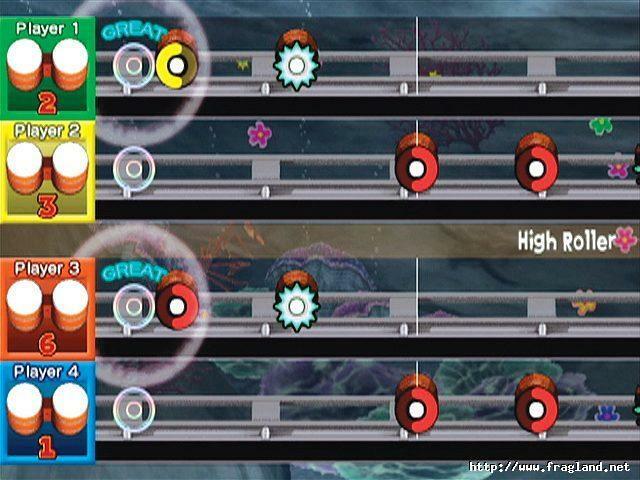 It’ll be interesting to see if and how Kinect and Move will change the mechanics of rhythm games. What are your favorite rhythm and dance games? Do you prefer Guitar Hero or Rock Band? Let us know below!